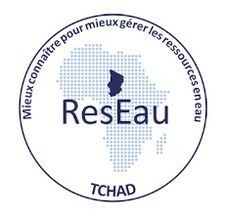 The Chad ResEau project aims to increase the resilience of Chad to climate change through an active management of aquifers and surface water resources and is funded by the Swiss Agency for Development and Cooperation (SDC). The first phase of the project focused on strengthening the national capacities in the field of water resource management, with the introduction of a Master and with a database of water resources and hydrogeological map of the Chadian territory. UNITAR-UNOSAT oversees the technical components and the implementation of the Master. The evaluation analysed the first of three phases of this project (2012-2015). It has found that the starting assumption (the improvement of knowledge and competency will allow for a more sustainable and targeted utilisation of the water resource) is still pertinent. Indeed, knowledge and competency for a more effective use of water resource are still lacking in Chad. The evaluation has also found that all the activities are relatively pertinent for the implementation of the project. However, it will only have an impact with sufficient institutional stability and clear mandates. The project is mostly coherent but the Chadian stakeholders’ participation and involvement needs to be improved. Even if most of the activities were realised, some were not fully completed. It can be explained by too ambitious objectives. Concerning the sustainability, most of the project was well planned, with material investments to make the project more sustainable. However, the coordination and animation in Chad could be improved. The report made some conclusions on different topics, including the project’s context, the structuring and organization of partnerships, the project activities, the operational management and project monitoring and on the financial situation. For the project context, the evaluation agreed on the relevance on the project but found that there is a lack of coordination of the Minister of Livestock and Water and the donors, and there is an absence of a general control of the forage quality. For the structuring and organization of partnership, the strength of this project is to train people with the Master Degree. The weakness is that the number of continuing training and workshops are not enough. On the activities, the website is working and has a lot of different resources but it is not really relevant if the low internet connection in Chad is taken into account. For the operational management and project monitoring, there is a good work made for the mapping, and a good collaboration between UNOSAT and SwissToppo. However, the problem is that the program officer is too far away of the field and can be disconnect of the Minister of Livestock and Water realities and difficulties. For the financial situation, there is a real contribution from Chad, which is important for the project, but it is low and it suffers from administrative slowness. What recommendations stem from the evaluation? The project management should migrate to Chad to have a better coordination, visibility, relevance and for the sustainability of the project. The Minister of Livestock and Water should play a more transversal role, with the creation of Inter-Service committee of Water. The internal coordination should be supported with the hiring of an assistant in order to release the project manager from administrative tasks. 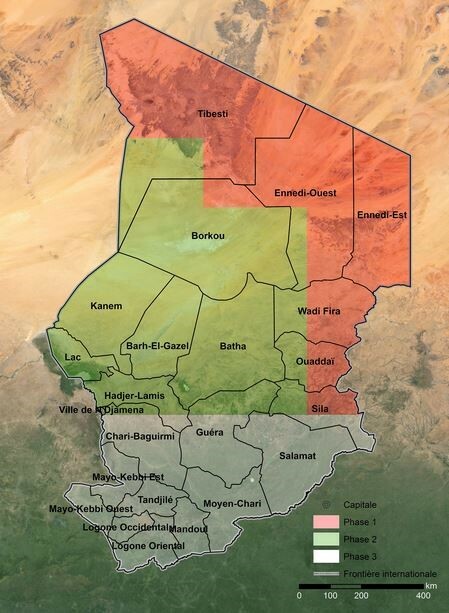 The coordination of the three different committees should also change, to improve the Chadian influence. It is important that the documentation centre evolve to become a resource centre, by not only being a library of maps and archived data but also by providing metadata to users. In order to do that, quality procedures should be implemented and appropriate resources should be present. An expansion of the database should be done, with a better networking logic (e.g. collecting data from different stakeholders), and with a more coercive approach (by obliging stakeholders to give data). The Minister of Livestock and Water should reinforce its capacity in the region, in terms of knowledge of the territory and to apply its missions. To do so, the project has to train the regional delegates to strengthen their capacity of action and their technical capacity. To respond to the needs of contractors on the field, the project should also have a training for professionals, that can lead to a certification for drilling companies. The Master also could be rethink. It could be divided in two, with one HydroSIG Master and one Water Management Master. The missions on the field are called into question by the evaluation. They should be stopped or be reinforce in time allocated and in human resources. All projects related to water resources are potential targets for the use of the data produced and made available in the ResEau project. The project should improve the synergies with other programme (including the cluster WASH (UNICEF). Concerning to move the project management to Chad: “SDC partially agrees with the assessment of evaluators who consider that project management should migrate to Chad to strengthen coordination, visibility and relevance of support and ensure the sustainability of the process. The SDC in Chad (Coordination Office) will take over the management and coordination of the project, with a technical team under its direct responsibility. The management will be done in close collaboration with UNOSAT activities between Switzerland and Chad”.